Genuine Mercedes G55 scale replica with all of the authentic badges. This Kids Ride On SUV comes with a painted body, rubber tires, and leather seating. LED lights, MP3 input, floor mats, working horn, and startup sounds are just a few of the main features this Kids toy SUV Ride On has to offer. Realistic Mercedes keys, and a parental remote control are included. All functionalities your child or any adult could dream up. 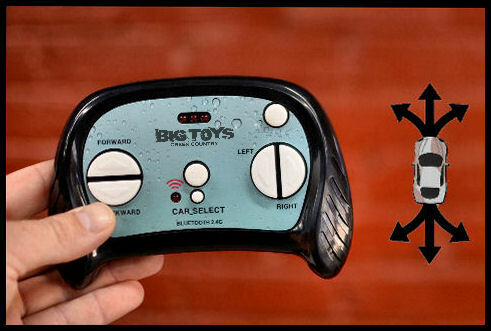 A fully functional 2.4 GHz parental remote control, for parents whose kids cannot yet reach the foot pedal or otherwise maneuver the car. This Mercedes G55 can also be operated by your toddler via the working steering wheel/foot pedals. It comes complete with 12V battery (pre-installed) and charger. Some assembly is required (45 - 50 minutes). I still have my first vehicle, a 2002 G55, and now my child is rolling around in a ride on just like daddy. She loves her new MB G55. We bought this for our neice to be the flower girl in our wedding and sadly, she was the center piece of the entire event. (: We chose this model over the model with doors just so you could see her in there. It is definetly a looker this car. Click the button below to add the 12V Mercedes G55 Premium Ride On SUV w/ remote control + MP3 + floor mat -Silver to your wish list.